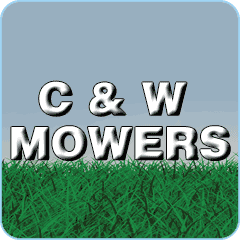 C & W Mowers are a professional, experienced business who pride themselves on helping customers to make the most out of their gardens. Whether you need your lawns mowing, your hedges trimming or your own garden machinery repairing, we will do everything we can to make your experience with us nothing but positive. With over 50 years’ combined experience on working with large and complex engines and machinery, we are superbly placed to ensure your lawnmower, rotivator, chainsaw, or any piece of garden machinery gets all the professional attention it needs. We offer a free collection and delivery service within 10 miles (although please give us a ring if you’re just outside this as we may still be able to help) on all machinery repairs and services. If your lawnmower is past its best, we also offer trade-in deals on new and used machinery.